Try this quick test to see if your soil is acidic or alkaline. Put a handful of soil in a container. Pour in 1/2 cup DYC white vinegar. If the soil fizzes or bubbles, it’s definitely alkaline. 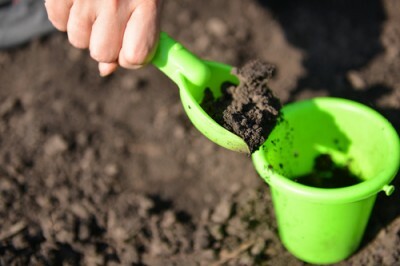 To see if your soil is acidic put a handful of soil in a container and add 1/2 cup water and 1/2 cup baking soda. This time, fizzing would indicate acid in the soil.